Some good snipers I know wear glasses. So? 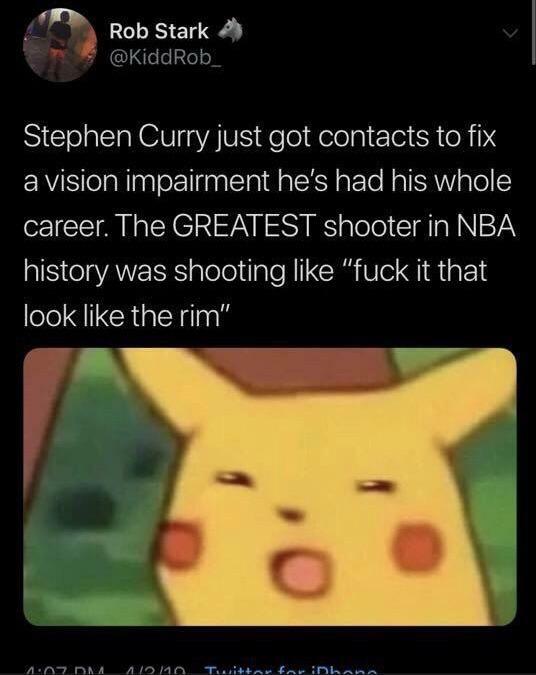 The point here is that he was shooting before correction, now that he can see better it’s likely he’ll be able to shoot better. I wonder about that. Hand-to-eye coordination doesn’t require excellent eyesight. I get the joke, but… oh well. Same. I wonder if his stats will go up now and if so if they’ll stay up and for how long. Curious to see if after the stat jump if they settle back down to where they were after awhile or stay up.